Let’s get ready to celebrate our favorite holiday of the year, the Day of the Cotton-Top Tamarin! Since 2007, this festival has been a part of the lives of the Colombian people who live near to these fantastic little monkeys. They’ve grown to love cotton-tops so much that the Day of the Cotton-Top Tamarin was born! The Colombian village of Los Límites has celebrated this exciting time in many great ways, with all sorts of activities to include all villagers in this celebration. 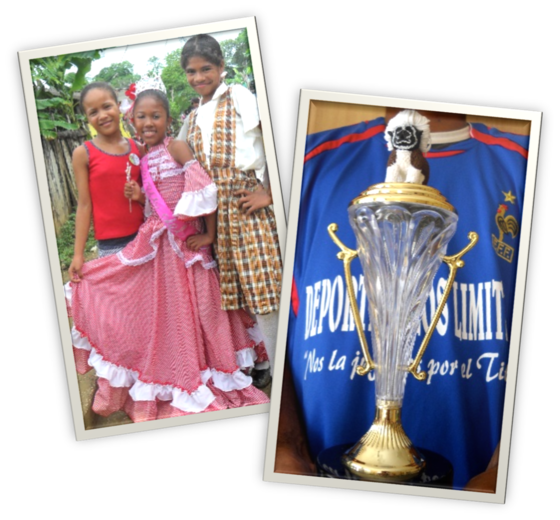 For example, In the past, teams of soccer players competed for their chance to win the Copa de Titi.The Cotton-Top Queen was elected by the villagers to inspire cotton-top love all around! Dancers and singers celebrate the cotton-top in the streets of the villages! What an exciting time, and what an exciting celebration full of all sorts of fun and activities! This year, the tradition continues in Los Límites with more celebrations and costume extravaganzas. And look who's excited to join: Tito Titi, cotton-top friend that loves to spend time celebrating with the people of Los Límites! 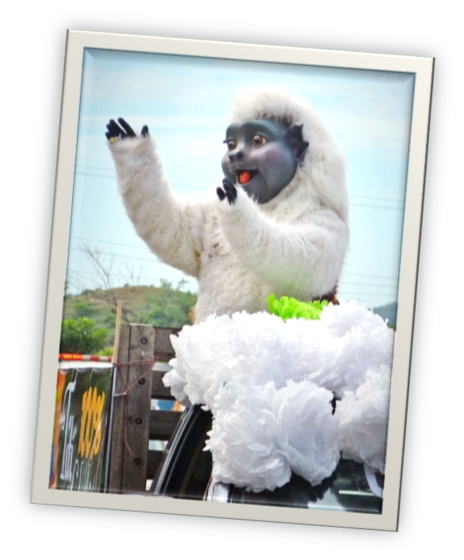 With more songs, more dances, the crowning of the new Queen of the Cotton-Tops, and spending time with their closest cotton-top friend, Tito Titi, the Colombian people have learned to love this little monkey. We are so excited that this has grown into such a large celebration! 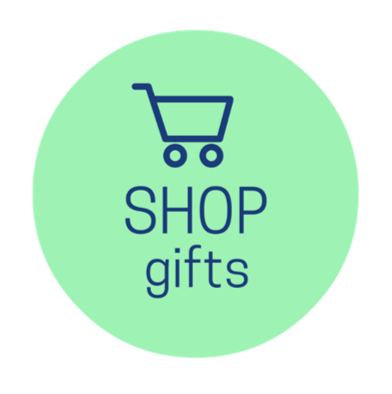 Let’s bring the celebration of cotton-top tamarins to your home, too! 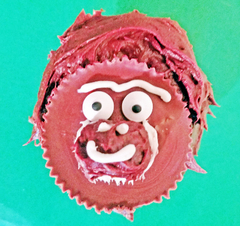 What better way to celebrate an amazing little monkey than with fun and tasty treats we can all enjoy? Check out this tutorial for these adorable peanut butter and cotton-top cupcakes! Green cupcake papers – you want your cotton-top sitting in a tree! Brown frosting - chocolate is great! Miniature candy eyeballs, found at a local craft or baking supply store. White frosting in a sandwich bag, with one tiny hole in the corner for detailing. Frosting tip decorators for fluffy-looking hair! 1. Bake some of your favorite cupcake flavors, and be sure to frost them on top with chocolate frosting! 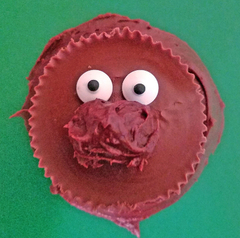 Place your peanut butter cup on top for a nice, flat surface, and add your eyeballs and a dollop of chocolate for your cotton-tops mouth and nose! 2. With a fine tip of white icing, either from a cake decorator or just a simple plastic bag with a small hole in the corner, draw on some fine details! This includes their eyebrow furrow, their nose, smile, and the white fur around their face! 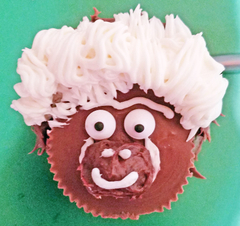 Add a base of chocolate icing to the top of the head, to support that wild cotton-top hair! 3. With a decorating tip or a simple plastic bag, make lines of white layered on top of each other, starting from the back of the head and working your way to the front. Layer it on for some wild and fluffy cotton top hair! Now go make your own cotton-top families! Thanks for celebrating Day of the Cotton-top with your own #CottonTopCupcake! 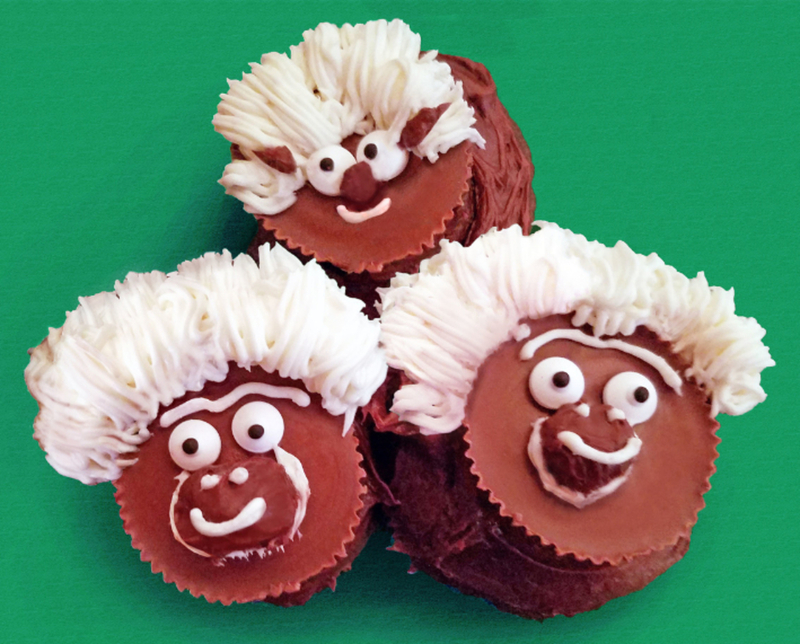 Tag photos of your cotton-top confections with @proyectotiti to share your love for these adorable monkeys! 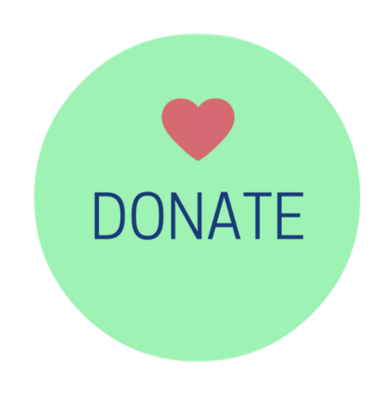 Proyecto Tití's mission is to conserve Colombia's most critically endangered primate, the cotton-top tamarin, through scientific studies, community education and development programs, and protecting tropical forest habitats. For more information visitwww.proyectotiti.com. Proyecto Tití works in collaboration and with the permission of CARDIQUE to develop effective conservation programs for cotton-top tamarins. Proyecto Tití is grateful to Hacienda "El Ceibal" for their continuous support of cotton-top tamarin conservation efforts.